It is important that if an accident occurs there is adequate money in the monies claimed to pay for all expenses, including adequate medical care. Unfortunately, the view of the FMCSA in their latest report presented to Congress indicated that the limits were set too low. 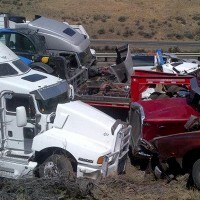 The report looks at the minimum payments of an accident involving a truck. While these accidents are rare, it was important to make sure that the insurance pay-out meets the needs of those hurt or injured to cover all the expenses, including medical care and other costs involved. However, with the rising costs in the economy and the price of medical care, there is evidence of claims not meeting the actual cost of care. This can have long-term effects on the health of the individual hurt in the accident. It can have a negative impact on the treatment they receive. There is also a possible scenario that future care may be denied because funding isn’t available. It is important to ensure there is adequate insurance in the event of an accident. Currently, maximum payments are falling short of some of the estimations of an accident and the costs involved. The FMCSA delivered their findings to congress in the hope that these findings can influence the situation. They want solutions that don’t involve bumping up the premiums of the cost to the point where businesses struggle to pay the premiums. This could result in the loss of thriving businesses. The FMCSA must present to Congress every four years a report detailing on the financial responsibilities of the industry. This should ensure the necessary procedures are in place to make change to meet the needs of the changing industry. Therefore, the information that the FMCSA collates regularly is an important aspect to protecting the moving businesses across America. Getting the insurance to cover the cost of an accident is part of the protection required for staff and victims of accidents.